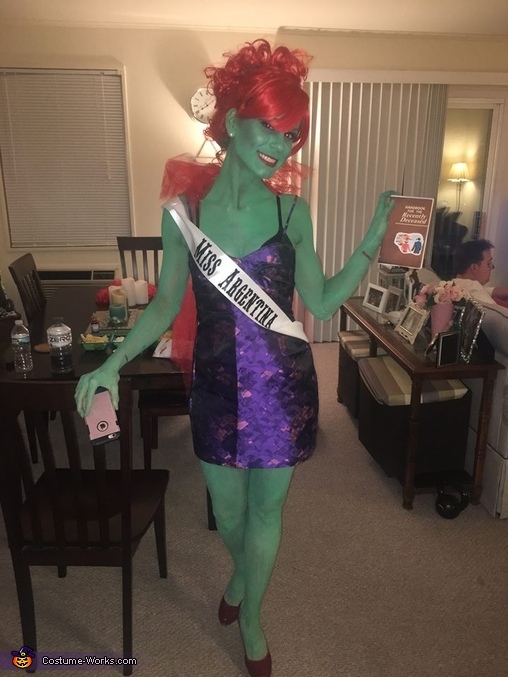 This homemade costume for women entered our 2016 Halloween Costume Contest. Beetlejuice is one of my favorite movies and I have always loved Miss Argentina's character. I put the costume together using a wig I styled with a hot glue gun, a dress I got on ebay, some tulle, and lots and lots of green face paint.